As a Senior Data Analytics Specialist, Bennett L. spends his days crunching numbers and translating them into understandable charts. You could say he is a master of Excel spreadsheets. But on weekends, he masters sheets of a different type: music sheets. Since 2015 Bennett has volunteered with the Kirkwood Children’s Chorale (KCC), a nonprofit educational organization which offers vocal training to young singers in second through 12th grades. Bennett discovered KCC through a choir director acquaintance, and upon learning they were in need of board members, he jumped at the opportunity. Bennett – a singer in his youth who continues to play the mandolin and guitar – found his work as a board member quite rewarding, and continued engaging in new opportunities until he found himself stepping into a new pair of shoes: the role of Executive Director. Bennett was excited to help create a new vision for the future of the organization. With the help of engaged board members and staff, Bennett led KCC down the right path, resulting in the organization halving expenses and doubling membership. 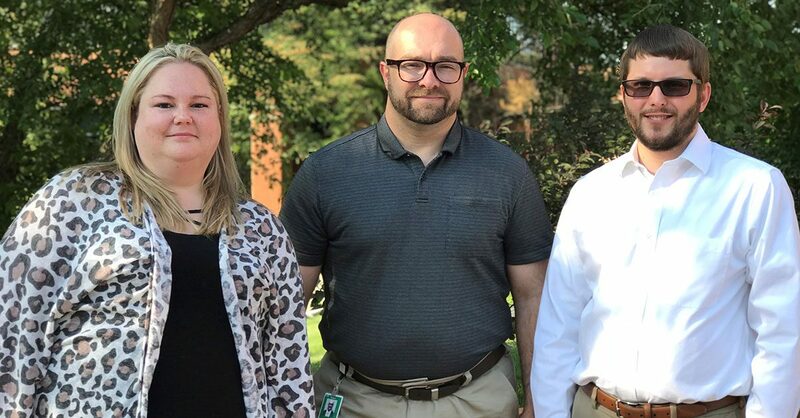 Two of those helpful individuals happen to share another connection with Bennett: Enterprise Holdings. Bill D., a Reporting and Analytics Supervisor, is the Board President for KCC. Christina B., Payroll Coordinator, is the organization’s Bookkeeper. Also aiding in the success of the organization is the Enterprise Holdings Foundation. For the past three years KCC has received grants from the Foundation to support scholarships for children to participate.